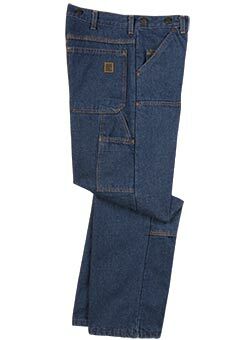 Denim 14.75 oz. / 100% Ring Spun cotton, preshrunk. • Double knee for more durability. • Bar-tacked at all stress.